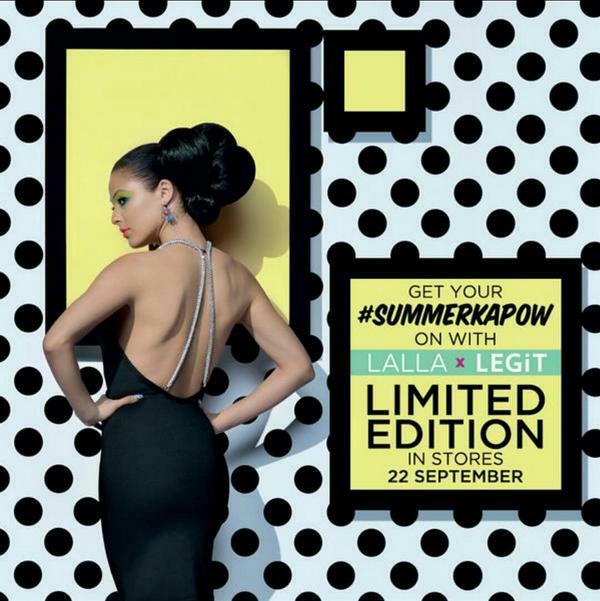 The gorgeous presenter and model has announced that she will be this summer’s ambassador for LEGiT stores. “The whole range can be seen as a ‘day into night in the life of Lalla’, and relies on feminine touches, summery references and stark blacks and whites. By day it’s all high-waisted shorts teamed up with slogan tees. At night, it’s time to paint the town red in the lace body con! Key items are the matching shorts set in the bold stripes, the floral jumpsuit and the little black dress,” a presser says of what can be expected from the partnership. Lalla is beaming over the new deal, saying: “I’ve always loved what LEGiT offers young South African girls, and to be chosen to share my style on this kind of platform is just incredible. I’m still pinching myself”. Congratulations are certainly in order!